Naom Chomsky tested on Palestinian issue. Noam Chomsky has done seminal work in the fields of linguistics, cognitive sciences, philosophy, and has played the role of a political activist. He is also seen as an unwavering crusader for Human Rights and a trenchant critique of Israel’s policy towards Palestinians. However he is not infallible, nobody is. I recall that in 2007 he was one of the signatories to a letter addressed to intellectuals in India, especially in Bengal, that read in parts : “…We continue to trust that the people of Bengal will not allow their differences on some issues to tear apart the important experiments undertaken in the state (land reforms, local self-government).”, “…The balance of forces in the world is such that it would be impetuous to split the left. We are faced with a world power that has demolished one state (Iraq) and is now threatening another (Iran). This is not the time for division when the basis of division no longer appears to exist”. It was answered in full measure by Mahashweta Devi, Arundhati Roy, Sumit Sarkar, et al & I quote, ”…According to figures provided by the West Bengal state secretary for land reforms, over the past five years there has been a massive increase of landless peasants in the state due to government acquisition of land cheaply for handing over to corporations and developing posh upper class neighbourhoods”. “Let’s stop a moment before going on and ask ourselves some questions about what Chomsky has been saying. 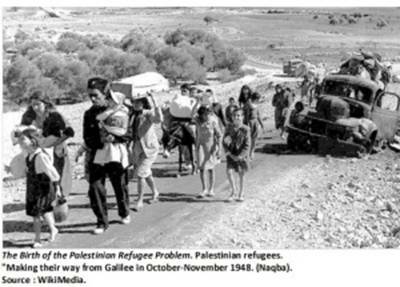 One, shifting blame for Israel’s crimes against the Palestinians to the US (the Nakba?, the 1967 capture of the West Bank and Gaza?) he argues that rather than calling for a boycott of Israel, Palestinians should be calling for a boycott of the United States. Apart from the failure patently inherent in such a campaign, what does Prof. Chomsky believe would be the response of the majority of Americans to a call by Palestinians for such a boycott? Or, for that matter, a call by supporters of the Palestinians in the United States for a boycott of their own country? Beneficial for the Palestinians, Professor Chomsky, or harmful? Or just plain stupid? Since the answer to that question is obvious, genuine supporters of the Palestinian struggle who still see Chomsky as an ally need to ask themselves why he would call for a campaign that would bring further disaster down upon the heads of the Palestinians”. “….Chomsky volunteered to his Israeli interviewer that up to five or six years ago, he had considered living there as an alternative to the United States and in the 1950s, “we had considered staying there, in fact.” In other words, he seems to have no problem with the Jewish “right of return” to what, until 1948, was Palestine, but considers a similar demand by the Palestinians who were actually born there to be not only unrealistic but potentially dangerous”. “…What Chomsky is saying to the (Palestinian)refugees is that if they persist with their demand to return to Palestine, and should that demand, support for which is currently undetectable in Chomsky’s eyes, actually grow to the point where Israel feels threatened with an avalanche of returnees, it is likely to use its nuclear weapons and blow up the planet. So, for the sake of the “real world” that has ignored them and to keep Israel, a country that he unhesitatingly supports, from exercising the “Sampson Option,” the refugees should forget about going home and await some nebulous “constructive efforts… to mitigate their suffering.” I can imagine what most Palestinians would say to that but it is unprintable….”. Blankfort clearly implicates such “realism” of Chomsky as being insincere to the Palestinian cause. He also cites an interview conducted by Christopher Lee for The Safundi, where Chomsky is asked to compare the call for boycott of Israel with that of South Africa under apartheid : Chomsky responds that boycott is a questionable tactic in general, but in case of South Africa ultimately it proved legitimate because its (black majority) population asked for it. In case of Israel that condition is not obtained he says while completely ignoring the Palestinian population that is asking for it. Yet, in the same breadth, Chomsky is not deterred from calling for sanctions against the United States. Here his logic suffers from two infirmities. Neither is the population in USA asking for it, and that should have made it “immoral” in Chomsky’s eyes, nor should his “realism” permit him to see it succeeding against USA when he thinks it would fail against Israel. Blankfort has raised some crucial issues that searchingly test Chomsky’s position and which sometimes it appears Chomsky has ducked (e.g. I have never really understood why you consistently take positions that so severely undermine any hope of justice for the Palestinians, find truth so offensive, and work so hard to evade our own responsibilities in favor of the much more convenient stance of blaming others [Israel]. But that’s your business. I don’t write or speak about it) rather than give a considered reply. Put somewhat simply –though every over simplification carries a risk of turning oxymoronic- Does Dog wags his Tail or Does Tail wags its Master?